beIN is the sports channel that broadcasts, amongst other competitions, the Spanish football league. 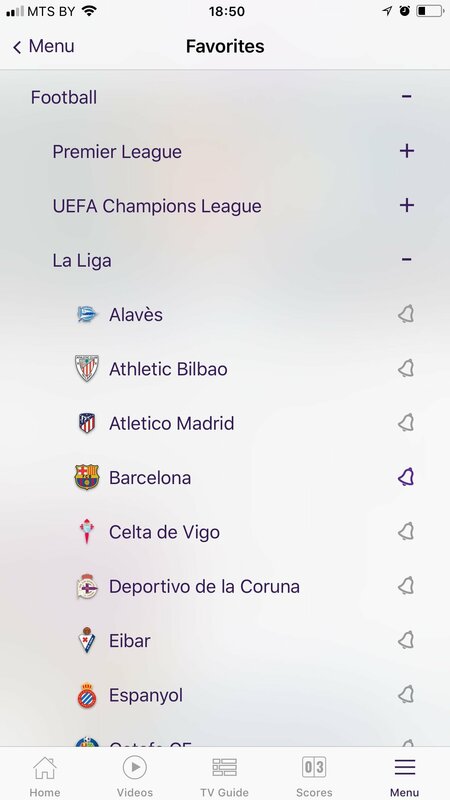 However, this isn't the app to watch live matches online (that's beIN CONNECT). Here we'll find news, results, and the standings of our favorite tournaments. 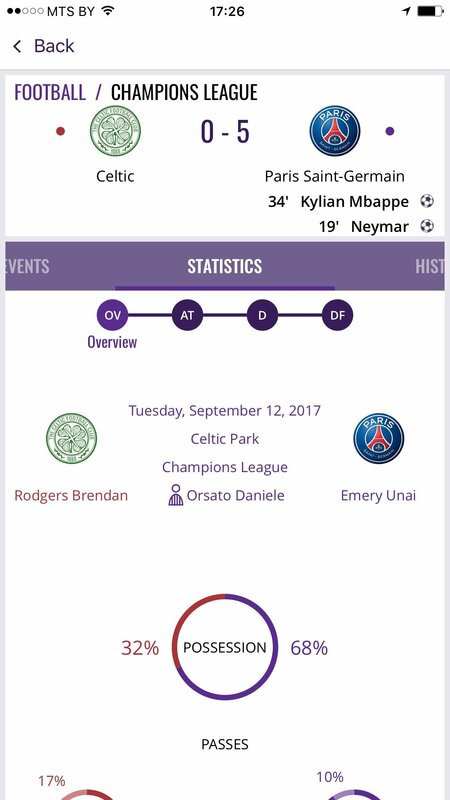 If you're a soccer fan, you'll know that the pre-match events and the post-match stats can be even more important than the actual match itself. It's almost a ritual, read about the players that have been called up, know how the week's training sessions have gone, the possible line-ups, the highlights of the most controversial moments, videos of the best goals, the press conferences of managers and players, the stupid things they publish on Twitter and Instagram... Well, that's what you can find here in beIN SPORTS, which also comes along with live scores and standings of all your favorite teams and competitions. Don't miss out on anything that has to do with your favorite competitions. Customize the user experience: choose your favorite sports, leagues, and teams, and check the most extensive information about them. 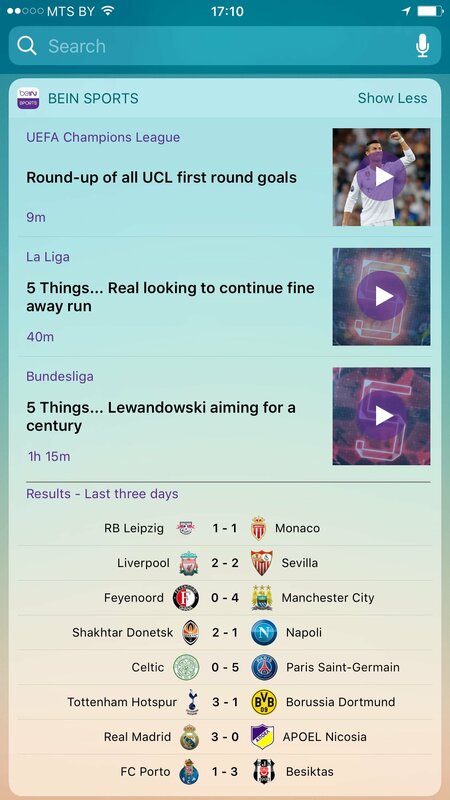 Receive push notifications with the activity of every single match played by your teams. 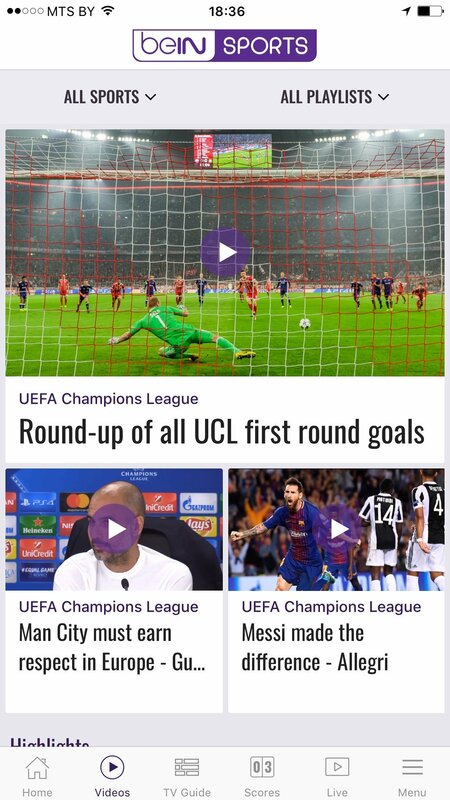 Highlights with the best goals and the most important moments of the Spanish First Division, the Calcio's Serie A, the French Ligue 1, the CONMEBOL... as well as MotoGP and tennis. Play LaLiga World, PitLane or The Locker Room videos on demand. The most important news about anything that happens in the world of sports. We've got some good news for you, downloading and using this application is totally free. Even if you're not a beIN subscriber, you'll be able to use it. 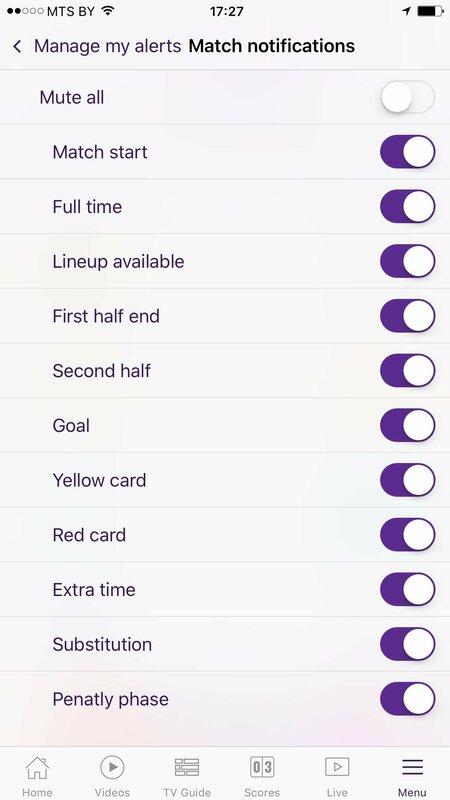 However, once you've tried out all its functions, you might not even want to watch any live football, you may have enough with this app. Minimum operating system requirements: iOS 8.0.